Ralph Slatyer was born on 16 April 1929 in Western Australia. He was educated at Perth Modern School and Wesley College, Perth before attending the University of Western Australia where he studied agricultural science. He received a BSc (Agric) in 1951, an MSc (Agric) in 1955 and a DSc (Agric) in 1960. In 1951, he began work as a Research Scientist with the CSIRO in what became the Division of Land Research. He was part of a team that investigated the potential for agriculture in the north of Australia (see also Pastures for the north). From 1966 to 1967, he was the Associate Chief of the Division. In 1967, Slatyer became the foundation professor in Environmental Biology in the Research School of Biological Sciences (RSBS) at the Australian National University (ANU). His research at this time included how plants differ from each other in photosynthesis and transpiration rates. It was here that he began to look at ecological succession in disturbed ecosystems. He was a Visiting Professor at Duke University, Durham, North Carolina (1963-64), and at the University of California (1973-74) and was appointed a Senior Fellow of both the National Science Foundation and the Ford Foundation. In 1977, Prime Minister Malcolm Fraser offered Ralph Slatyer the position of Australia’s Ambassador to UNESCO. Fraser had originally offered the post to Sir John Kerr, who as Governor General had been responsible for the dismissal of the Whitlam Government in the 1975 Australian constitutional crisis, but considerable public pressure prompted Fraser to withdraw the offer to Kerr, and offer the post to Slatyer instead. He returned to Australia in 1982, after four years in Paris, and resumed his professorship at ANU. Later that year, the Fraser government appointed him the founding chair of the Australian Science and Technology Council (ASTEC), a new body set up as a government ‘think tank’ on science and technology. In his five years as chair, ASTEC was instrumental in lobbying for tax concessions for research and development in Australia, and conducting a review of the CSIRO. Ralph Slatyer has had enormous influence in Australia’s national science milieu. He served as the Director of Research School of Biological Sciences, ANU from 1984 to 1989 and in 1989 was made the first Chief Scientist of Australia, advising the Prime Minister of the day on matters relating to science and technology. 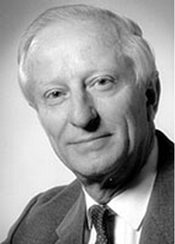 He was also largely responsible, during his tenure, for the establishment of Cooperative Research Centres in Australia, a program designed to facilitate collaboration between business and researchers, serving as Chairman of the Cooperative Research Centre Program in the Department of Prime Minister and Cabinet (1989-92). In addition, he was Deputy Chairman of the National Greenhouse Advisory Committee in the Department of the Arts, Sport, Environment and Territories (1989-93). On his retirement in 1993 he became Distinguished Scholar in Residence at the Research School of Biological Sciences, ANU. A full account of the life and achievements of Ralph Slatyer can be found in the sources below.